The TV host and restaurateur, known for Mexican cuisine, is partnering with Crown Imports to make a brew. Bayless is the latest chef to partner with beermakers in a trend that elevates the blue-collar beverage to fine dining. 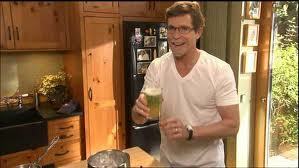 Celebrity chef Rick Bayless, known in the US as the unofficial ambassador for Mexican cuisine, is partnering with Crown Imports, distributor of Corona and Negra Modelo in the U.S., to create a craft beer. According to AdAge.com, the popular American TV host and Chicago restaurateur of Frontera Grill has struck a collaborative partnership with the largest beer importer in the US, which will see the company plug Bayless’s PBS TV show “Mexico One Plate at a Time” with Negra Modelo ads in exchange for his star power in the development of a craft beer recipe.